We are distinguished entity in India providing solar power plant solution to power your home or business and thusly reduce your huge electricity bills. The solar power plant provided by us can be installed at any place, be it a rooftop, carport, empty ground, river side, farm or whatever premise you possess. This is possible for us due to our significant experience in devising various capacities of the solar power plant. 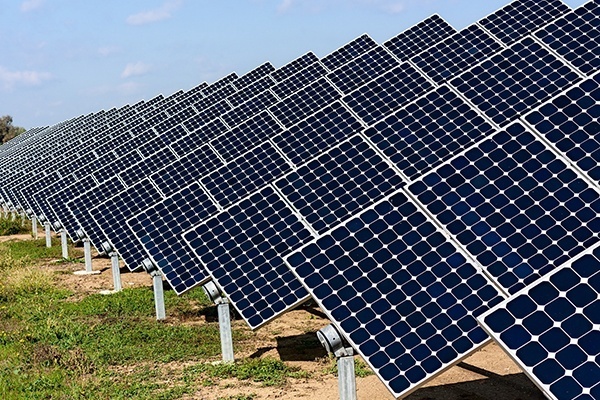 Additionally, our in house capability prowess us to devise, test and deliver the highly efficient range of the solar power plant that is of highest quality standards. We as solar power plant solution provider pleased to serve any size of the solar venture from small scale to large scale and hence provide you the best alternative to harvest optimum electricity. The tough and efficient solar panels that confine of regulatory policies are integrated with the inverter in the series that converts the produced DC electricity into AC electricity, essential to operate household appliances. This solar plant is also available with the batteries connected inverter in order to store extra electricity for the later use, when the sunlight is not available. We visit, analyze and thereafter configure the entire solar power plant for your home or business, wherein we cautiously focus on the space available and capacity required. After the completion of the designing we carry out the manufacturing of the same by means of strict quality controlled processes to get nothing but the best possible solar power plant that is competent to harvest the maximum amount of electricity under any tough weather conditions. Zero maintenance and zero bills are two imperative aspects that we assure for our solar power plant which has made it the first choice in the end user to get the job done successfully.